Sneak Peek: A Tale of Pirates - set sail to Essen Spiel 2017! There are so many places, where someone can hold you against your own will. At the bottom of the ocean, in the sky, but even in your own home. Any such small prison always has some problems to solve. Where is the key? How to land? Do I have enough oxygen? Sometimes, these questions are important, sometimes less. But if you want out, most of them have to be answered. And such an idea is base of all escape games, that are currently gaining focus of many playful peoplea roudn the globe. Have yourself locked in a room, from which you have to get in given time limit. What players risk, if they not make it vary by theme. And all these games were faithfully rehearsed by Cyril Demaegd, who created game Unlock! Escape Adventures. This new creation is published by Space Cowboys and distributed by Esdevium Games. Illustration of the content are shared among Pierre Santamaria, Legruth and Florian de Gesincourt. Entire box is not locked, just wrapped. Its lid is divided into three diagonal stripes. These already suggest three different parts, that await us inside. 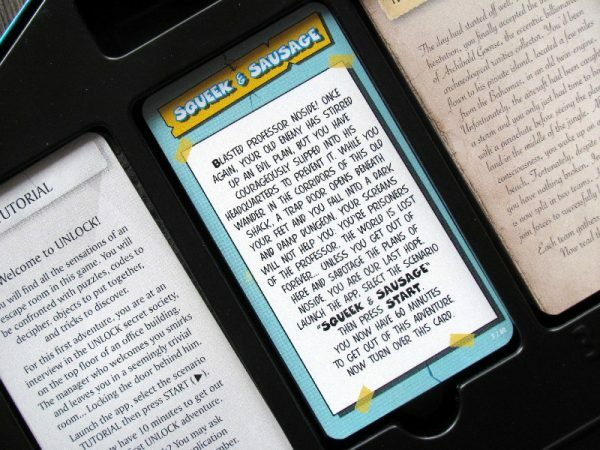 They are three scenarios and thus three decks of cards, each in a separate compartment with a warning, that players should not look through it contents in advance. This doing might reveal some surprises, that are hidden for the gameplay, just like with some legacy game. 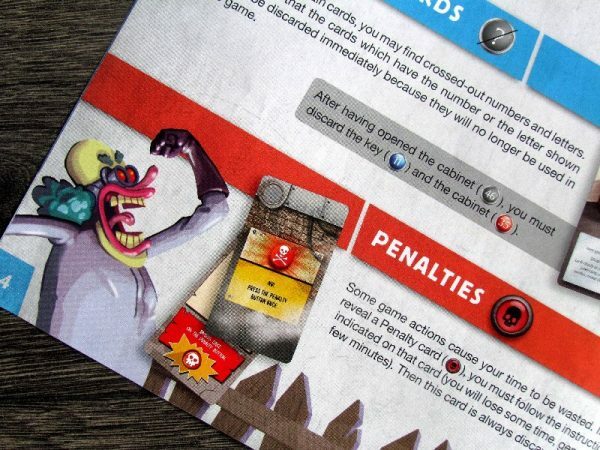 Rules are very simple and rulebook is thin, because its primarily concerned with just explaining a few basic principles, all types of cards and their function. Players will go through the deck, but they must always first read the top card from the adventure. To start any adventure, they will also need to have a phone or tablet, where they install free app with same name as the game. Here, they choose the same scenario. 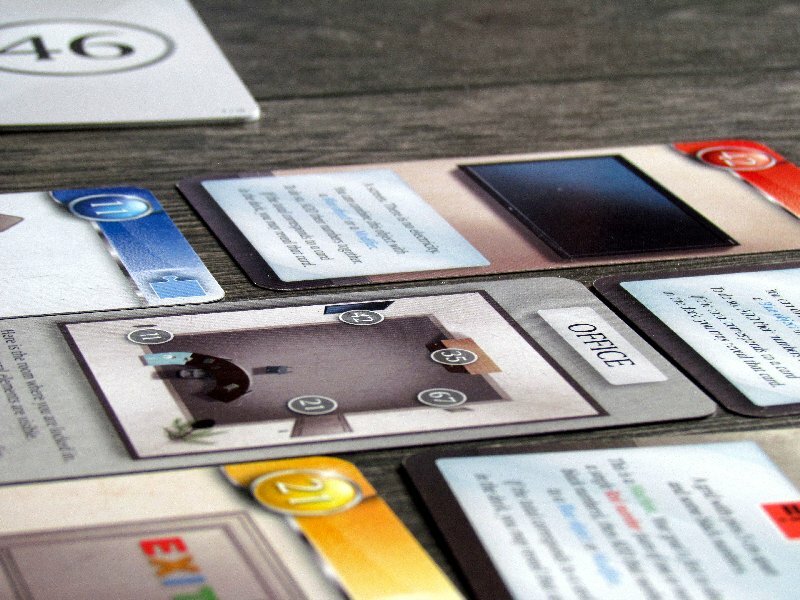 Once the players know the story from top card, one of them presses Start button on the screen and turns their initial card room. Each time it will be entirely different, but players will always go through a series of several rooms. They will have a set of cards revealed in front of them. 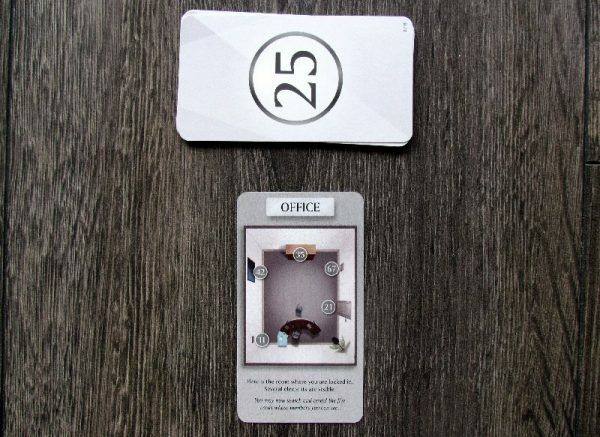 They start by finding card representations of object, that are in the starting room and are all marked with numbers on the overview card of the area. Players will try to use them and logically combine them with some other things. They will get a little help with color resolution, because it is always possible to combine only blue card with a red one. And how will players know, if their solution is correct and how to proceed? They add numbers of combined cards printed in their upper left corner and try to locate a card with a corresponding number in the whole deck. If such one really exists, players can see it and immediately know, if their doing was a good idea or not. Often, it can be a fumble, which costs only time. As a result, one of them must press a penalty button in the app (and thus usually lose three minutes for the team from total of sixty minutes). Otherwise, application is only for showing a count-down (at least as far as we are concerned right now). Players must pay attention and look at all revealed cards really carefully. Cards do not give them all the numbers and letters on the cards on a golden platter. Often, some items (= numbers) may be written as grayish text and players have to be careful not to overlook some of them and lose unnecessary time due to such mistake. 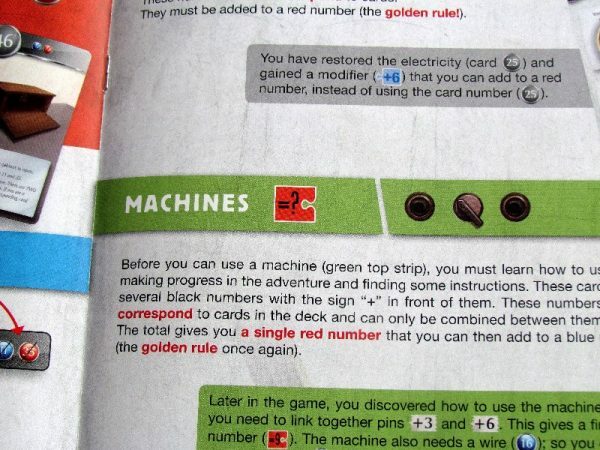 All cards are disposable once used, which is always clearly indicated on the next card revealed, which shows a crossed-out numbers, that will not be needed anymore. But not all cards are items and players will have especially different devices standing in their way. This is only the first moment, when players will have to demonstrate their inventiveness. 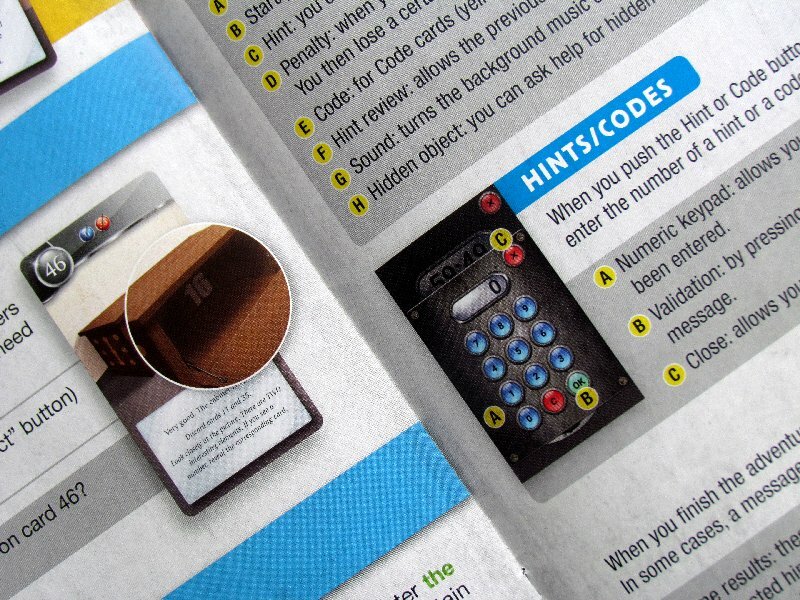 First, they must properly examine their surroundings (= cards) to find out more detailed guidelines for using the device. They usually offer a range of solutions represented by numbers with a plus sign, but only some of them are correct. And adding all the correct ones together with blue on some other card, they again determine value of the next card to reveal. This again proves them right or wrong. Text on that new card tells them, what happened, once they used it. Plenty of places also require players to enter a numeric code. 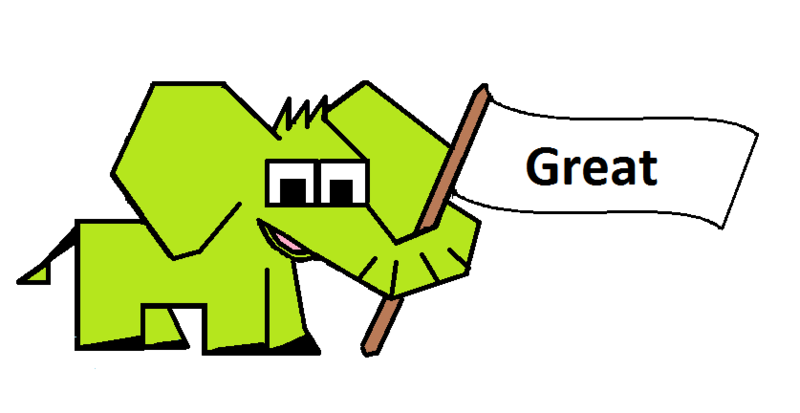 And now finally is a moment, when players find their mobile application useful. It provides them with a textbox to enter. When players agree on a solution, they might try to enter it and program tells them, what happened. In case of success, they will be rewarded with a new card, while a mistake will again result in some unpleasant circumstances. Players gradually go through the story forward, revealing one card after another from the deck. They will not have all revealed even in the finish line. 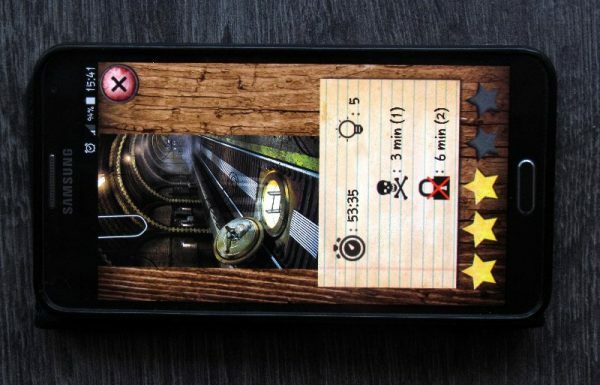 All this can end only in two ways – either players run out of time, phone plays a hissing sound and everything is lost. Or players succeed, they enter final code and escape from the clutches of their captor. Unlock! Escape Adventures is a game, that tries to create a dense atmosphere. Team of players should feel trapped. This is all supported by a light background music, which is there all the time and is played from the speaker of mobile devices. Overall, atmosphere is not bad, if you reconcile with a fact, that you are only revealing cards, when something tells you to. That’s all you do. But it is necessary to read all the text and discuss is with your team properly. Not only does it help searching for solution, but at the same time, it also enhances the experience. When a team effort may from time to time get stuck, it is again the bright moment for the application. Each card can be chosen as a source for help, if you really do not know, what to do with it. No penalty or punishment are bound to this. Hints have influence only on the final evaluation, where the team effort is assessed with five stars rating. Calculating success depends not only on the required time, but also number of clues and possible penalties. 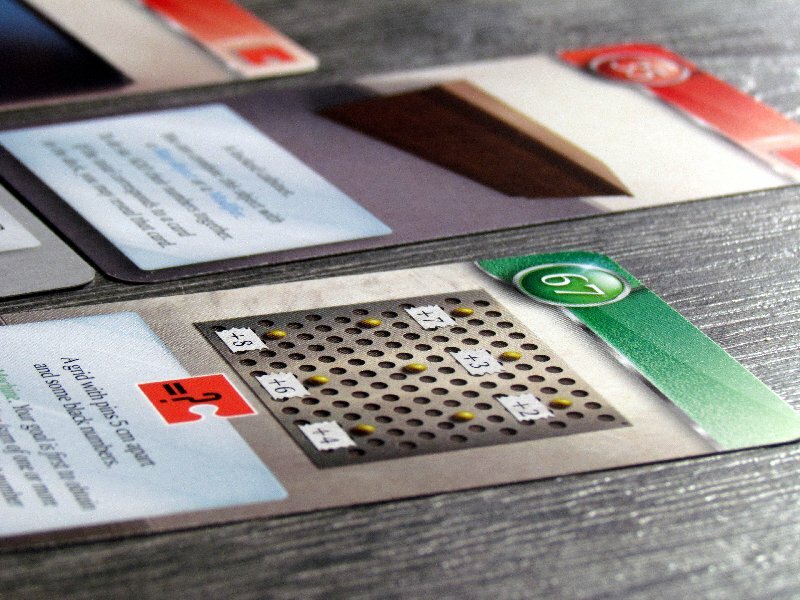 Big praise deserves an explanation of the entire game principle. Simply use attached ten cards tutorial, that gives you all the basic mechanisms and demonstrate it quite clearly. That is better state to enters the first real story. 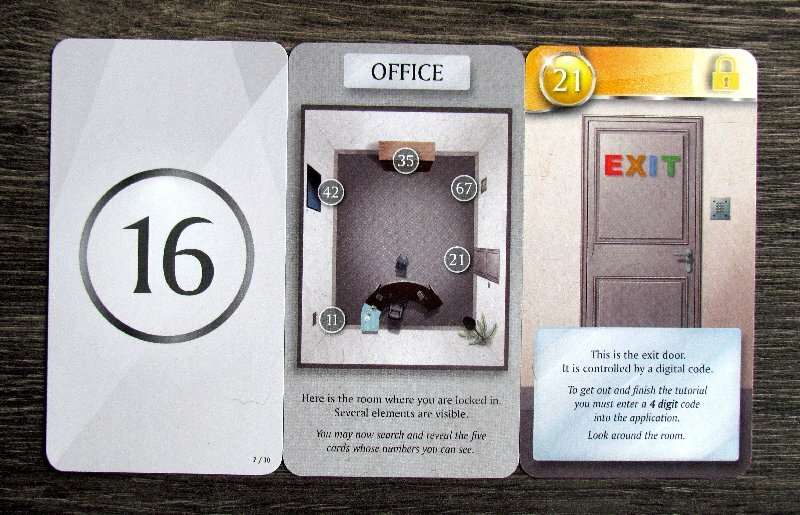 Even before playing it, we recommend to do short scenarios, which is downloadable for free – The Elite. Thanks to it, mainly machine rules will pass into your blood and you will enjoy trio of true stories much better. Progress through individual adventures is most of the time logical. The more disappointing is then conclusion to otherwise excellent animated story (second one to play). 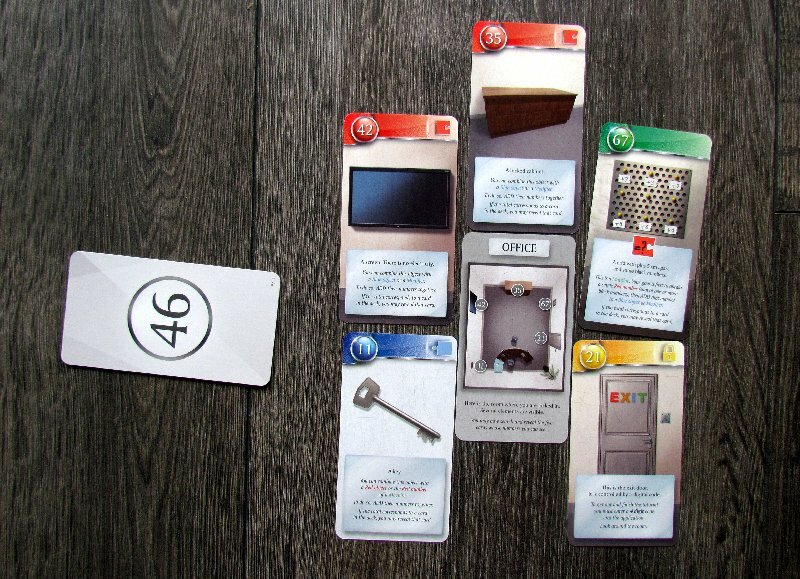 Its final riddle spoiled the overall impression of one hour endeavor. If we have to evaluate stories as they go, then the first one is slightly weaker. On the other hand, third adventure then is an indication of the possibilities that is hiding in this format of games and is moving your experience even a drop farther. Unfortunately, due to the limited replayability, it is uneasy to the influence of the number of players on the overall impression. Generally, however, it is clear, that greater number of players makes the game easier. In two players, this is way bigger challenge and you will be even more pleased, when you succeed. On the other hand, the more players use the box, the better your funds were invested. The game certainly again arouses emotions regarding ratio of price versus experience, that is not giddy. However, you get an interesting adventure for your money and you will remember moments from it for a long time. Understandably, this one needs to be compared to TIME Stories. And here, certainly in terms of experience, game with time and repeated returns to the past is getting in the lead (unfortunately not the one we are talking about today). Unlock! loses points not only in the ratio of entertainment for the money (three hours against five in TIME Stories box), but also in reusability (box can be used as template for upcoming adventures, resulting in lower price of new stories). 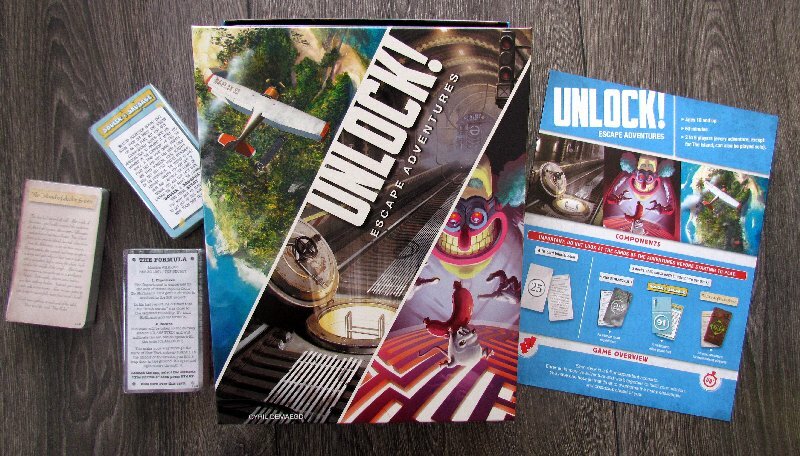 On the other hand, three different adventures straight in the box speak in favor of Unlock. And also, there will be Unlock! 2 soon, according to informations available. But you will have to buy the box again as a whole, no releaving for your wallet in here. Unlock! 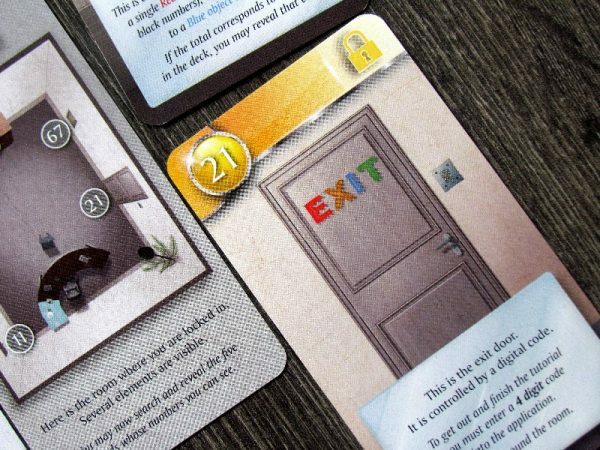 Escape Adventures is a very interesting endeavor. If we omit story and puzzles, it is only a browsing through the cards. And still, players enjoy it and do not notice this too much. It is because of the time. Every second is precious in the search for ways to escape from a closed room and possibly even standing up to some other tasks. Overall Unlock! 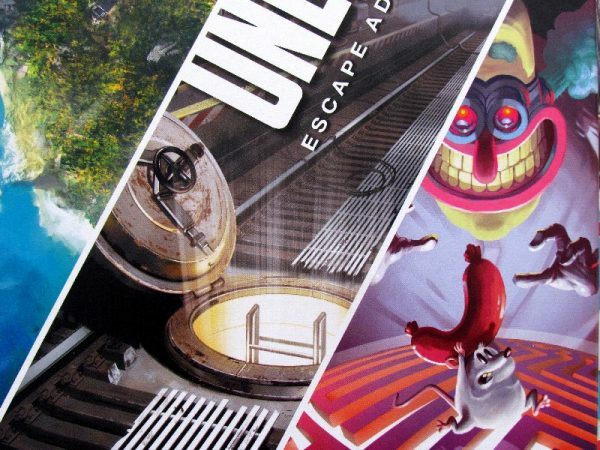 Escape Adventures is good alternative to real escape games, when you have visited and playd them all or have currently noone to join you in real adventure. Although, they can not match in terms of atmosphere, it is still fun to play. please excuse too little photos in this article. We decided not to give any spoilers to you. Rodina Digital Hybrid, App Required, Escape Room Games, Unlock! Unlock! Escape Adventures is a very interesting game, which from the table a little bit competes with escape games. But it offers only cards and story, not the real feel. On the other hand, if you have good imagination, you might find yourself in different places and will enjoy new adventures to the fullest. Puzzles are logical and will remind of some point-and-click adventure games. 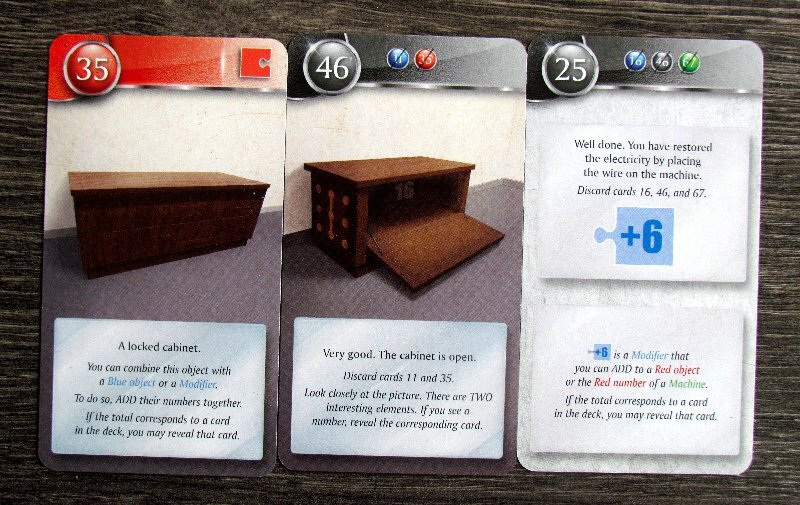 These are three scenarios in the box and they are sufficiently different. Unfortunately, not all are excellent (the first is a bit weaker), but in total they are really fun. There is applications available for the game. Overall impression of the game is quite positive. If you do not mind spending a lump sum per box, which you send away few weeks later (once you play or maybe borrow it to all friends) and you like cooperation under time pressure, then Unlock! Escape Adventures is sure to appeal to you. Cyril DemaegdEscape AdventuresEsdevium GamesFlorian de GesincourtLegruthPierre SantamariaSpace CowboysUnlock! Cyril Demaegd, Escape Adventures, Esdevium Games, Florian de Gesincourt, Legruth, Pierre Santamaria, Space Cowboys, Unlock!